Just last week, the Massachusetts Department of Transportation issued a contract for $1.3 million in federal funds to pay for the bikes and stations for ValleyBike Share. WAMC’s Pioneer Valley Bureau Chief Paul Tuthill spoke with Wayne Feiden, the city of Northampton’s Director of Planning and Sustainability. 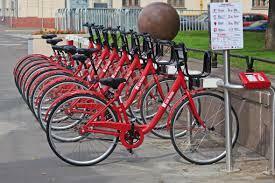 Federal funding has been approved for a bike sharing service in western Massachusetts. The Metropolitan Planning Organization, which controls federally funded transportation projects in Hampden and Hampshire counties, has approved nearly $1.2 million for ValleyBike, a regional bike share program that is tentatively scheduled to launch in summer 2017. Everything from bikes to bike sharing rentals like CitiBike relies on technology of one sort or another. Jeff Olson from Alta Planning is working with NYC on CitiBike, doing a project in Saratoga, and working on the Saranac River Trail Greenway in Plattsburgh and environs. He joins us – good morning, Jeff! Our tech guru Jesse Feiler is president of Friends of Saranac River Trail in addition to his work with technology (his latest is a book about Apple’s new HomeKit technology). There is a lot going on with the Trail and the expansion of the Saranac River Trail Greenway including a booth at the Clinton County Fair (opening today) and a public meeting this evening at 6 PM at SUNY Plattsburgh. Federal funding has been approved and if all goes according to plan a bike sharing program will debut next summer in four municipalities in western Massachusetts. The Pioneer Valley Planning Commission is coordinating the project. 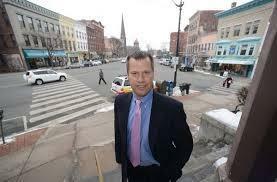 WAMC’s Pioneer Valley Bureau Chief Paul Tuthill spoke with chief planner Christopher Curtis.